George Harrison’s tour of the US had a grande finale on the east coast. 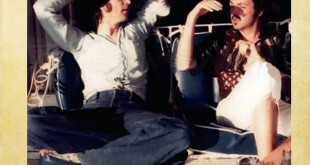 In the final week he played two shows at the Nassau Coliseum, three shows over two nights in Philadelphia and three shows over two nights at Madison Square Garden. The two Nassau County shows have been released several times before on vinyl and silver disc. The most popular title Nassau 1974 (Undercover UC-009-1/2/3) came out several years ago featuring both shows sourced from the most complete versions of the tapes then available. Nassau Coliseum 1974 Off Master on Idol Mind features the same tapes used on the Undercover release but from the master cassettes. They not only sound much better, but are for the first time complete and make the older releases inconsequential. This is not only the definitive release of these shows, but one of the better titles to have come out from this part of the tour. The sound quality begins rough but clear up quickly and is a startling upgrade over Undercover. It is also more complete, containing the Indian set and “Tom Cat.” There is a feeling of being rushed early on in the show. 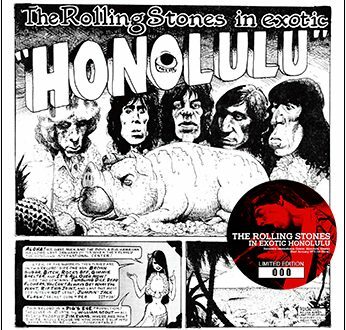 The opening numbers, “Hari’s On Tour (Express),” “While My Guitar Gently Smile,” and the others zip by with very little of Harrison’s elaboration. The Indian orchestra proceeds to play “Zoon, Zoon, Zoon,” “Na Na Dahni,” “Cheparte,” “Anurag,” “I Am Missing You,” and “Dispute and Violence.” Before the final number of the set Harrison speaks about the charity they are supporting and exhorts everyone to give. After the cut there is a long version of “For You Blue” in which Willie Weeks and others take solos. The rest of the band is introduced before gorgeous version of “Give Me Love.” After a small cut in the tape Harrison is speaking about old friends and John Lennon as an introduction to his new arrangement of “In My Life” with the “in my life – I’ve loved God more” confession. “Thank God for Billy Preston” in my life he says before Preston plays a church organ solo. He even asks “are there any Christians? Try this: Oh, Christ, etc” to the befuddlement of the audience. The evening show is a clear recording but a bit more distant from the stage than the afternoon show. It still however is pleasant to listen to. This tape first surfaced on the old vinyl Last Live Concert 74 (White Horse WH 1974), a two LP set with the entire rock portion of the show. It also was used on discs three and four of the Undercover collection. The upgrade in sound quality is even more dramatic than the afternoon show. It is a nice sharp and clear mono tape of the entire concert. The strange whistle is gone, and the entire Indian set is present. With the afternoon show behind them and with John Lennon in the audience, Harrison and band deliver a much tighter and livelier show before a very quiet crowd. “For You Blue” is again expanded and Weeks plays a very nasty, harsh sounding bass during his little solo. Harrison introduces the rest of the band including the horn section, “you name it, they blow it” he jokes. “Give Me Love” sounds very nice with the flute very high up in the mix. 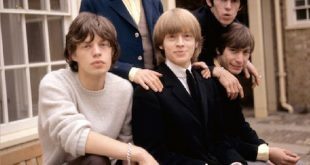 Afterwards Harrison says: “We’d like to do a tune we sometimes do…it’s just a boogie woogie called ‘Soundstage Of The Mind. '” This is simply a four minute instrumental he dedicates to Nassau in the beginning. 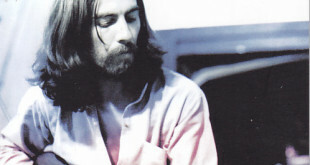 The encore is “My Sweet Lord” with the expected ecstatic utterances. 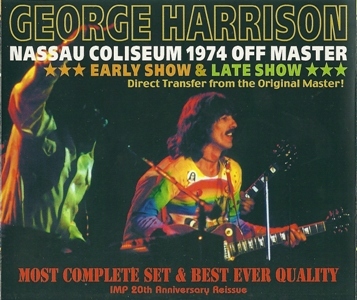 Nassau Coliseum 1974 Off Master is packaged in a quad jewel case with an obi strip. The actual discs are given a faux-vinyl appearance as well. 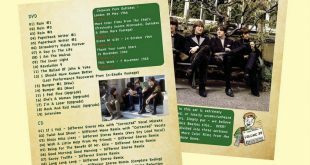 This is a major release on Idol Mind that every Beatles / Harrison collector has to have.